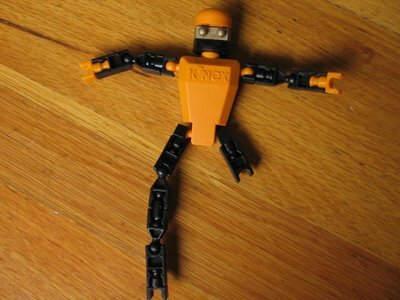 Rosemary Knits: Thank you, Mr. K'Nex Man. Thank you, Mr. K'Nex. I'll put your leg back together, once I'm all done spinning.